It derives from the Greek, meaning to destroy. I mentioned in an earlier post that we have more words in our language to discuss negative emotions and aspects of life, and this clearly falls into that category. But so many things can be deleterious — relationships, habits, actions, thoughts — yet we often tend to focus on only our physical health and ignore our mental and emotional health. 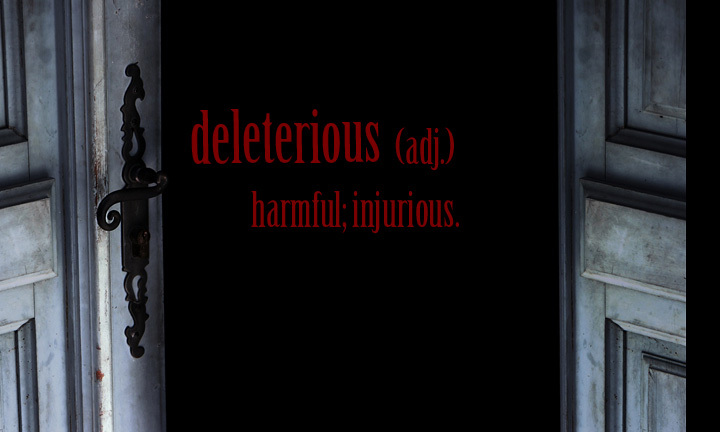 Add deleterious to your daily use vocabulary if for no other reason than to practice identifying those things which are harmful to your state of mind.